News — Chelsea Restoration Associates, Inc.
Red Wine and All White Paintings are Not a Good Combination! Chelsea Restoration Associates is moving UPTOWN! Chelsea Restoration Associates is pleased to announce our upcoming move. Our new location with extra large freight elevator and loading dock is easily accessible by subway or car, with on street parking available. We look forward to providing the same professional service from our new sunlit studio overlooking the Harlem River. 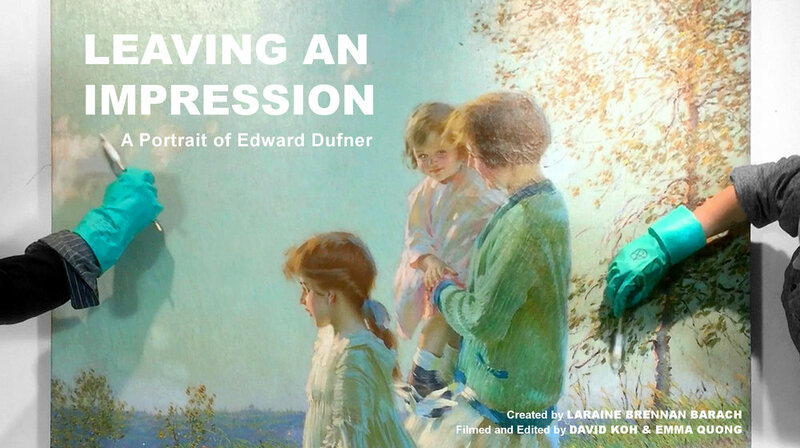 Chelsea Restoration Associates was honored to restore two large scale works by American Impressionist Edward Dufner that hang in the Millburn Free Public Library. The restoration was highlighted in a documentary film about the artist produced by Millburn resident and Chairperson of the Art Advisory Committee Laraine Brennan Barach, and filmed and directed by Millburn High School graduates Emma Quong and David Koh. 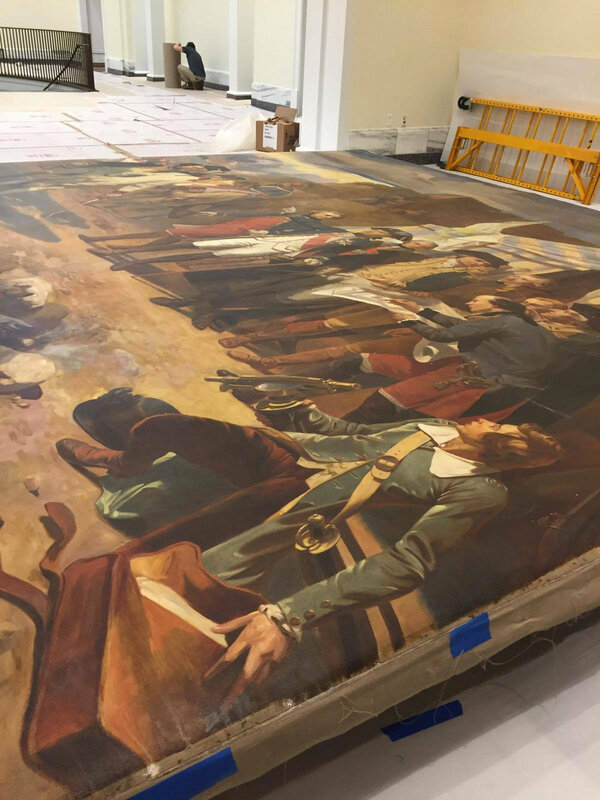 Prior to the opening of the Museum of the American Revolution in Philadelphia, Chelsea Restoration Associates was one of three firms to work on a mid-19th Century painting of Washington and Rochambeau at the Siege of Yorktown. 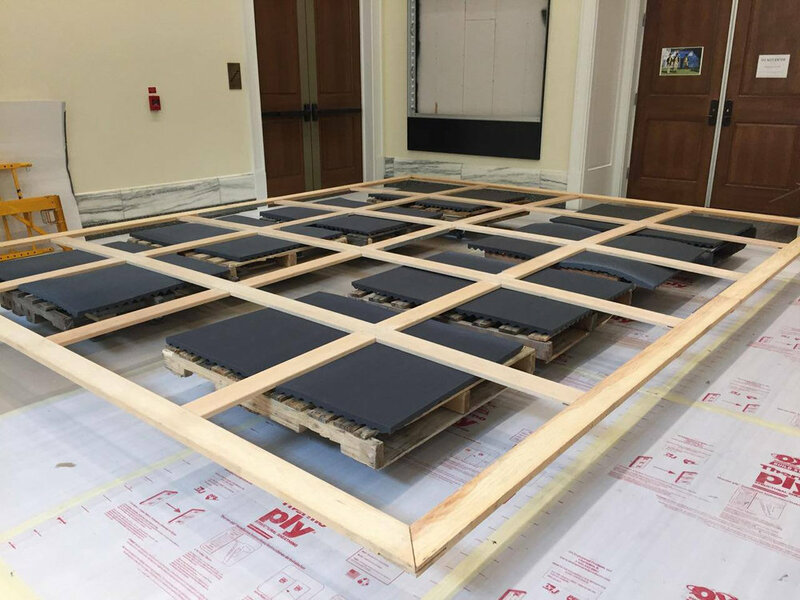 Our work involved stretching the massive canvas onsite, as well as inpainting and varnishing. The painting is prominently displayed in the museum at the top of the grand staircase.